In partnership with the Pat Conroy Literary Center, the Newberry Opera House is proud to present a special night in honor of the late Southern icon Pat Conroy. The evening will feature Conroy’s widow and fellow novelist Cassandra King interviewed by author and ETV radio host Walter Edgar. The event will be recorded for Walter Edgar’s Journal on SC ETV Radio. A portion of the ticket will benefit to the new Pat Conroy Literary Center. Friday, Oct 28, and Saturday, Oct 29, 2016 – 1:00-6:00 p.m. The Pat Conroy Literary Center invites you to attend our OPEN HOUSE hours during the Historic Beaufort Foundation's Fall Festival Weekend. 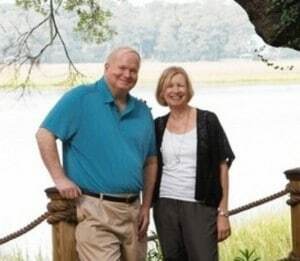 Meet Pat Conroy's Daufuskie Island student Sallie Ann Robinson; and four of his Story River Books writers, Ellen Malphrus, Bernie Schein, Maggie Schein, and John Warley; and newly named Literary Center executive director Jonathan Haupt.